An instrument audit from the WIKA FAST team can show customers how to optimize power plant pressure and temperature measurement solutions, as well as dramatically reduce the size of instrument inventory. WIKA also offers a range of practical training seminars to improve the productivity of operations and maintenance staff at power generation facilities. Working with experienced industry experts is the best way to ensure that power plants have the right pressure gauges, thermometers, and other instruments to run safely and efficiently. Many power plants today, especially older facilities, have a hodge-podge of measuring instruments in various applications, as old instruments were replaced or processes upgraded. This mixed bag is problematic in terms of inventory management and costs, and increases the risk of installing the wrong device for an application. You need accurate temperature and pressure data. Technical experts from the WIKA FAST program can review all your instruments to make sure you are using the appropriate pressure gauges, transmitters, and thermometers. Inventory assessment and rationalization is the second phase of a FAST instrument audit. WIKA has been able to eliminate dozens of redundant, out-of-date, or inappropriate SKUs for clients – leaving them a streamlined, efficient instrument inventory. What’s more, having the right gauge or temperature measurement products means longer device lifetimes and lower operating costs. Optimize power plant temperature and pressure measurement solutions. Instrument technology has evolved rapidly over the last decade. What was a “best practice” just a few years ago may be barely adequate in today’s data-driven world. During a recent phase-one instrument audit of a power plant in western Arizona, WIKA’s process engineers and technical staff in the power generation segment analyzed the plant’s monitoring needs, and suggested several new instrument solutions to boost the accuracy and efficiency of maintenance operations. Rationalize inventory to reduce costs and improve safety. Phase two of a WIKA FAST audit is to consolidate and rationalize inventory. A bloated instrument inventory creates inefficiency and adds unnecessary risks to power generation operations. The FAST team is currently working closely with management at a solar power plant in southwestern Arizona to eliminate unnecessary inventory and to produce a “cross-over list” of parts numbers to replace inappropriate pressure gauge and thermometer assemblies. The net result of this audit will be a highly efficient single-provider inventory system that prevents errors and saves time and money. Custom WIKA training programs boost safety and improve productivity. For a safe and productive workplace, it is vital that power plant personnel understand how to properly install, maintain, and read measuring instruments. WIKA custom designed a training program for both maintenance staff and plant operators following a recent FAST audit of a power plant just west of Phoenix. WIKA provided comprehensive plant safety training as well as product application training for several new instruments. Plant managers appreciated how WIKA brought in knowledgeable presenters and instructors with many years of experience in the power generation industry. 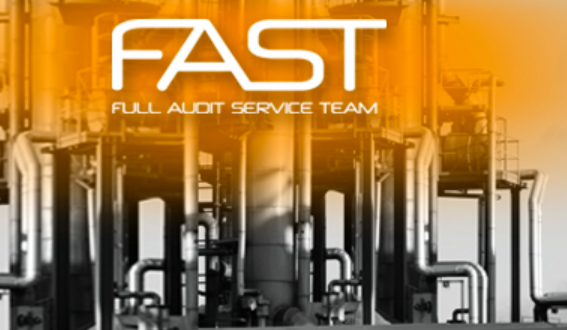 Find out how a WIKA FAST instrument audit can make a difference in your power plant operations and improve the bottom line. In most cases, you will more than recoup the minimal cost of an audit within just a few months.